Editor’s Note: Wall Street On Parade believes the focus on Supreme Court nominee Brett Kavanaugh is highly warranted. We will move back to our regular Wall Street beat shortly. Increasingly, the much-aligned U.S. media appears to be doing the job that the FBI failed to do in its first six background checks of U.S. Supreme Court nominee Brett Kavanaugh. The FBI’s seventh background check isn’t looking much better either, thus far. According to reporting at NBC, even Kerry Berchem, a law-partner at the 900+ lawyer firm, Akin Gump, couldn’t get the FBI to respond to evidence she offered suggesting the possibility of witness tampering by Kavanaugh and/or his team. Akin Gump’s roster of legal luminaries includes multiple former U.S. attorneys and former district attorneys. There is also growing suspicions that there is a coordinated coverup taking place involving the key, corroborating witness, Mark Judge. The Senate Judiciary Committee refused to subpoena Judge to testify at the September 27 Kavanaugh hearing; Judge has obtained a high-priced criminal defense attorney with ties to the George W. Bush administration in which Kavanaugh worked; he has deleted his entire history of social media posts which include really creepy photos of young girls lying spread eagle on a bed looking drugged. Fortunately for the public, various bloggers and media outlets have archived the videos or taken screen shots of them before Judge took them down. In point of fact, a lot of the YouTube videos are not that old, ranging from 10 months ago to a few years ago. The New York Times has not succumbed to the threat from Van Gelder. 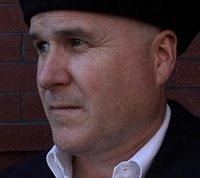 It made its own YouTube video about Mark Judge’s history and included photos of the young women from Judge’s videos. If Kavanaugh was looking for a credible character witness to offer up to the current FBI investigation, it’s definitely not going to be Judge if the FBI takes the time to look at his objectification of young women looking dazed and spread-eagle on a bed or in a bathtub. The women appear to be in their teens or early twenties while Judge would have been in his early fifties.